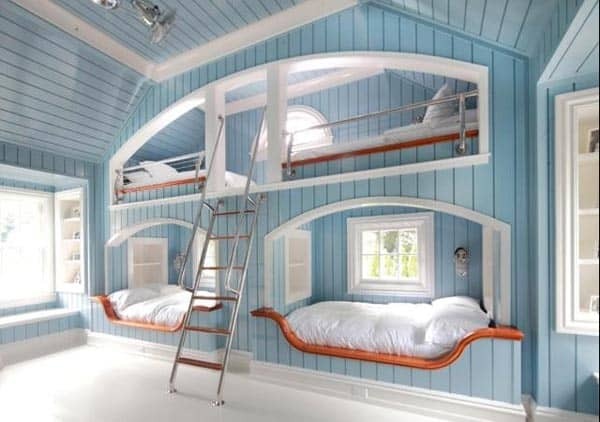 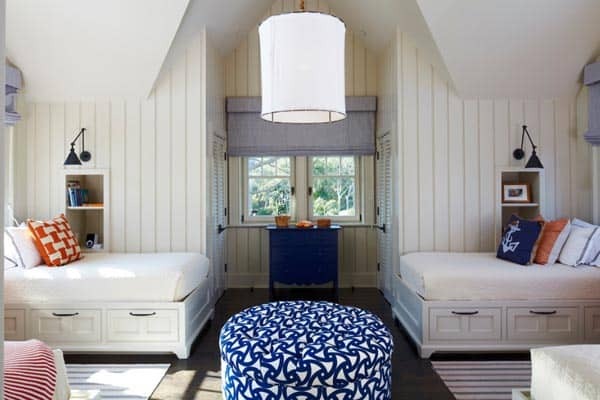 Cottages and summer homes are the perfect situation for sleeping nooks and so are homes that are limited in space. 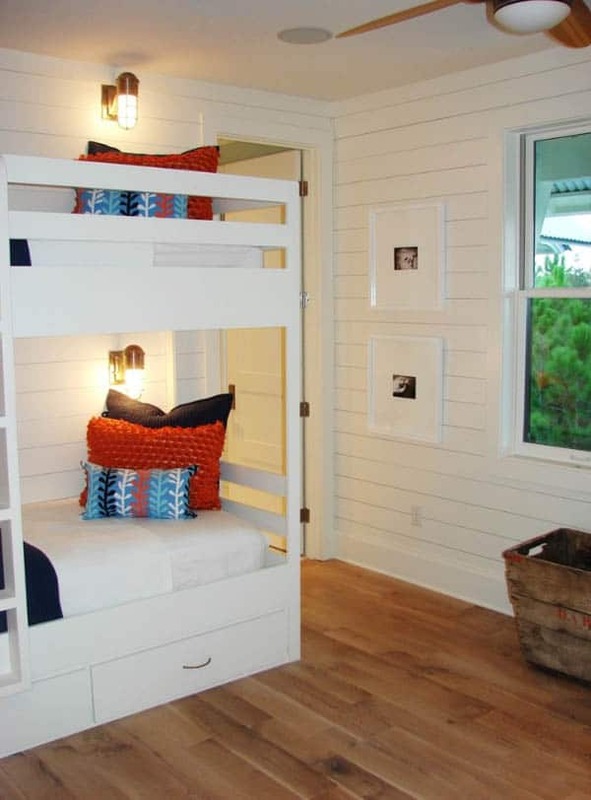 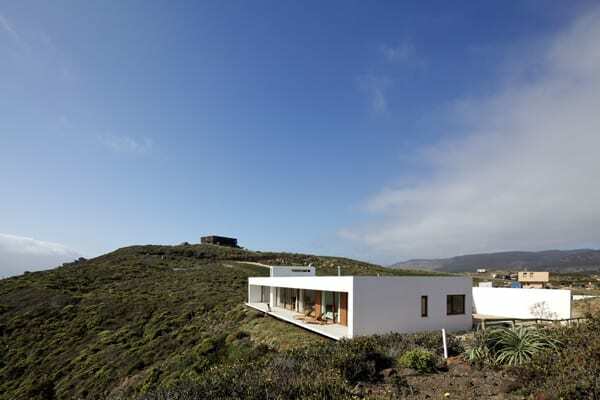 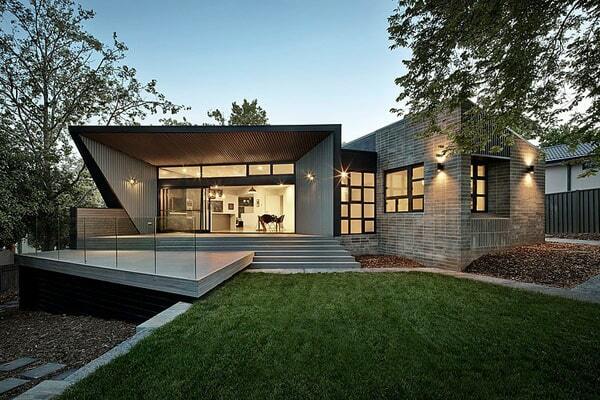 We can embrace the idea of limited space by adjusting our design towards it. 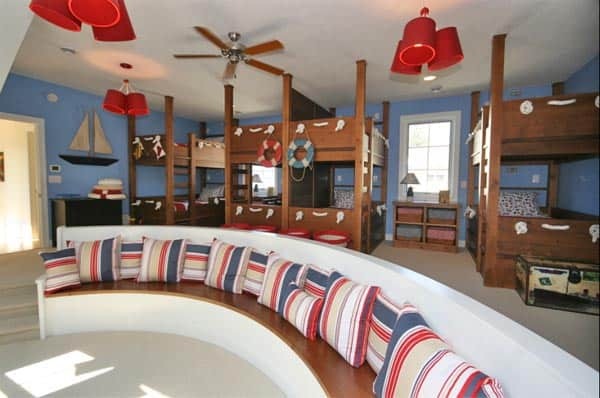 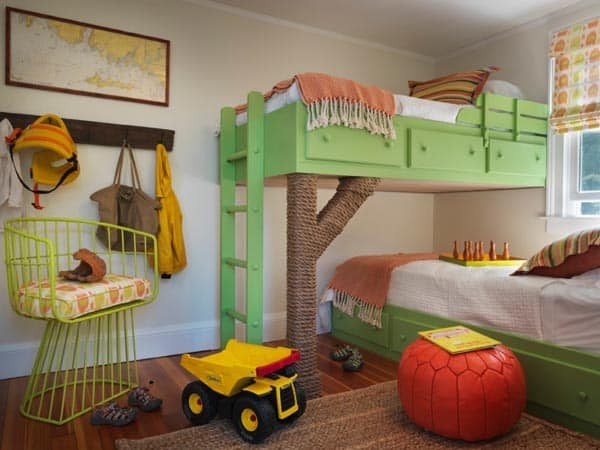 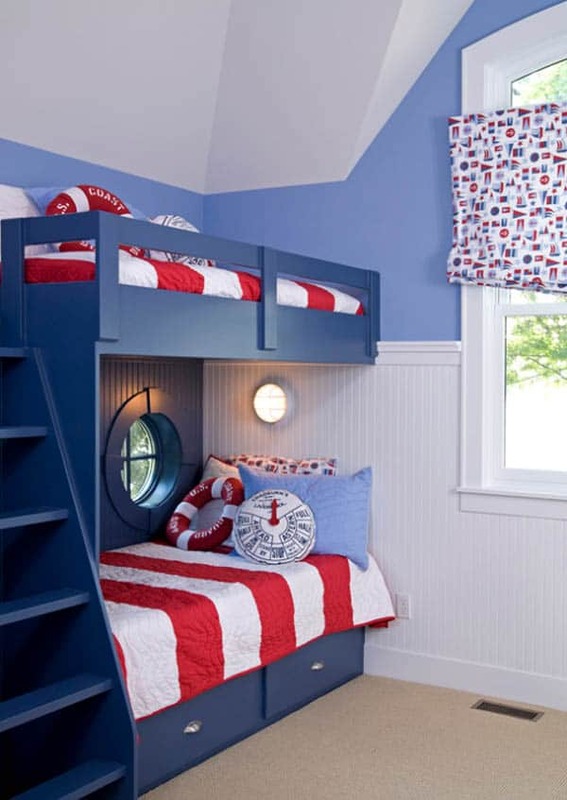 Creating a sleeping nook for children, not only will they love the fun design concept, it makes a crowded space feel more spacious. 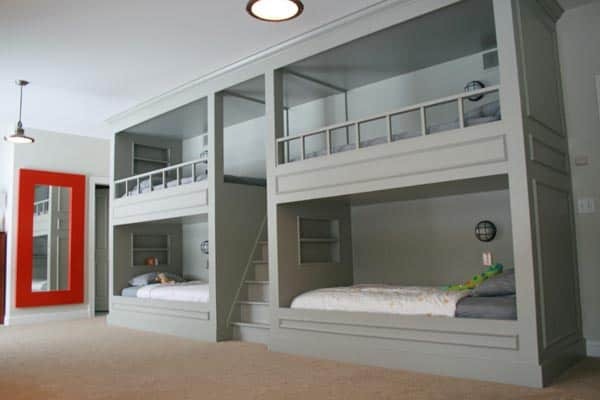 These space savers also aid in maximizing awkward slanted walls and help you to sneak beds into unexpected places. 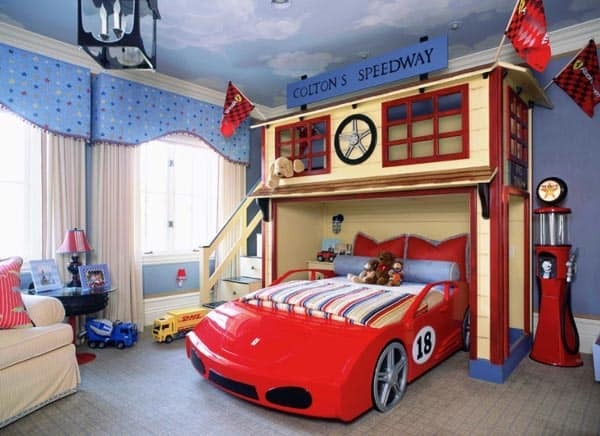 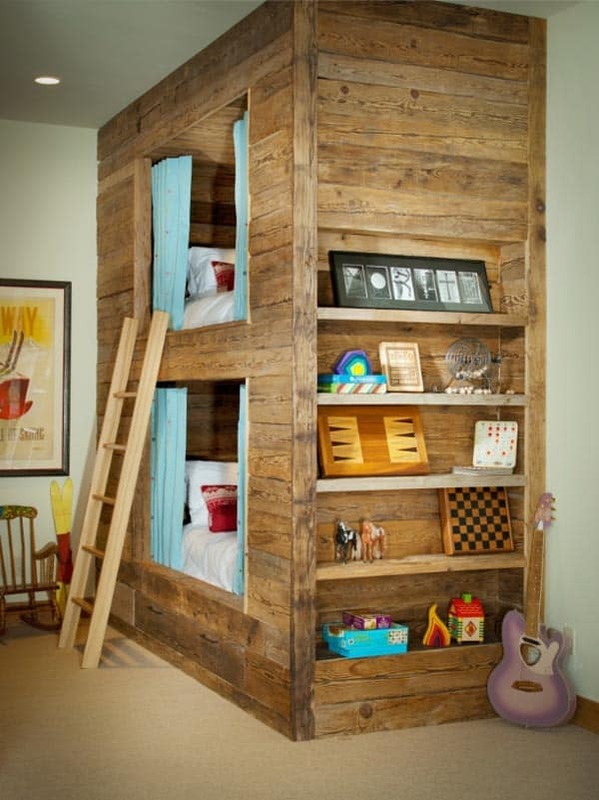 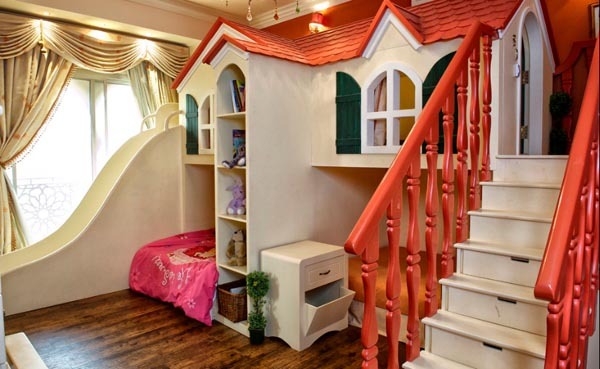 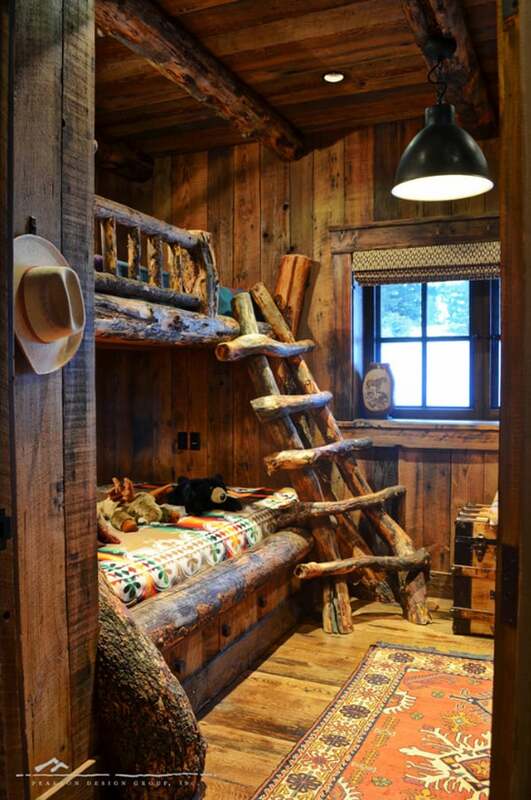 It is super cozy when a bed is tucked into a nook or cubby and makes a child feel safe and protected. 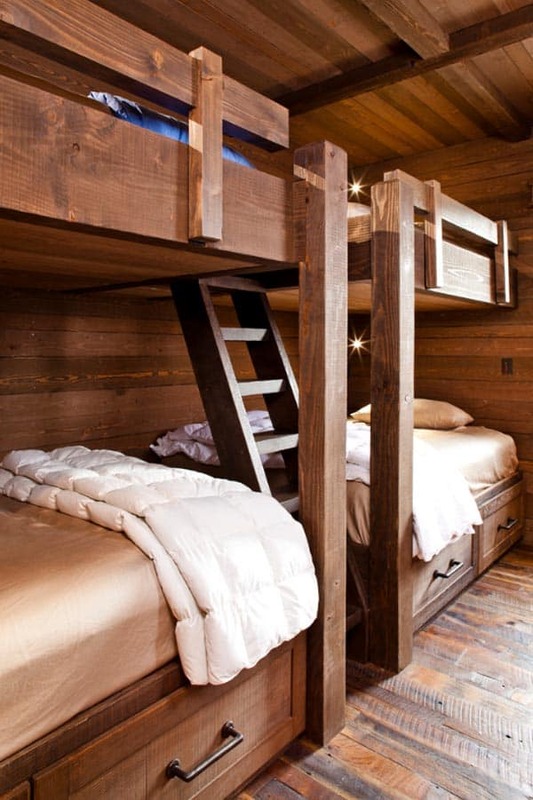 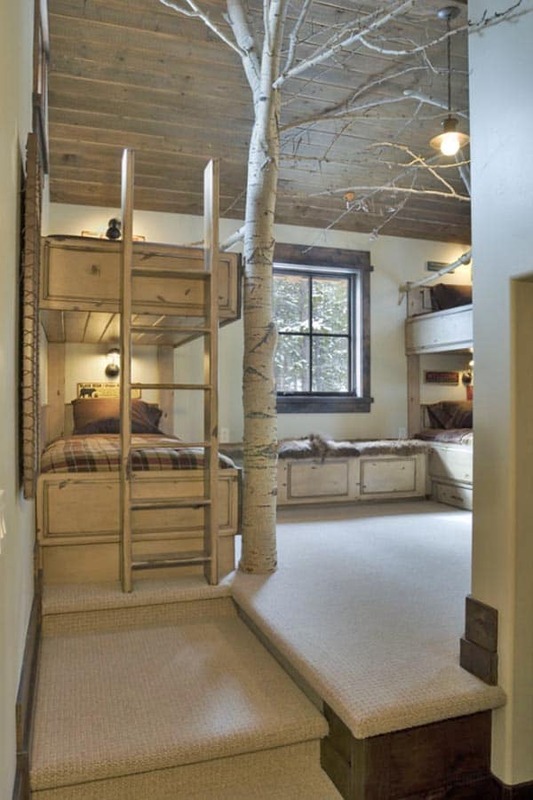 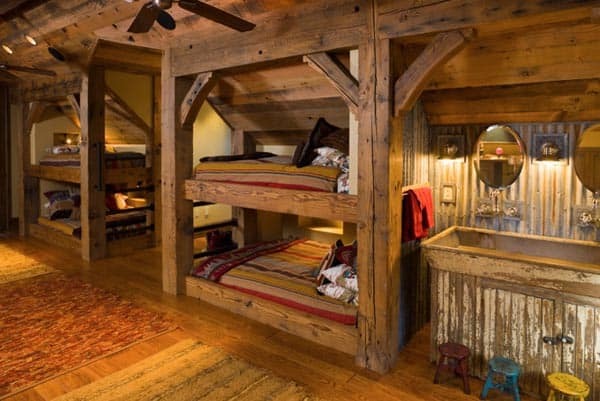 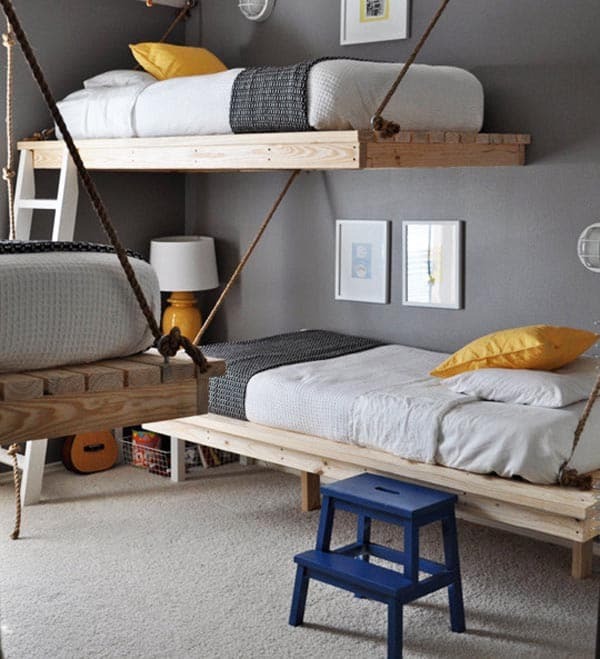 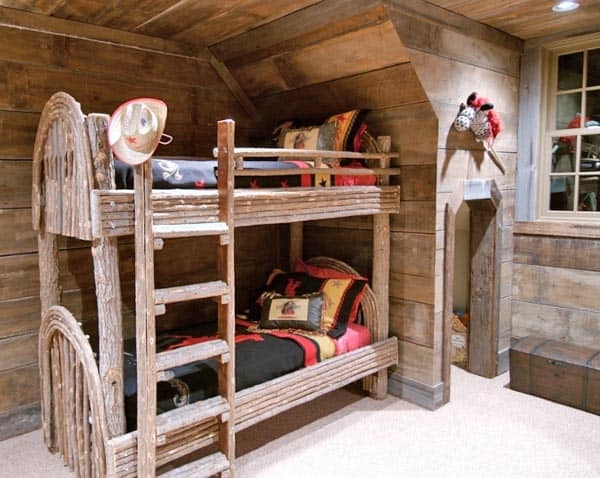 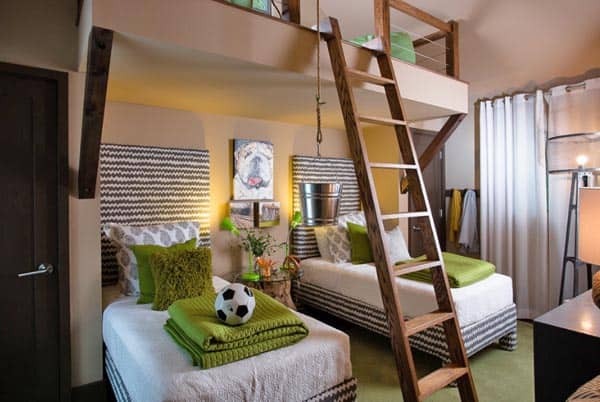 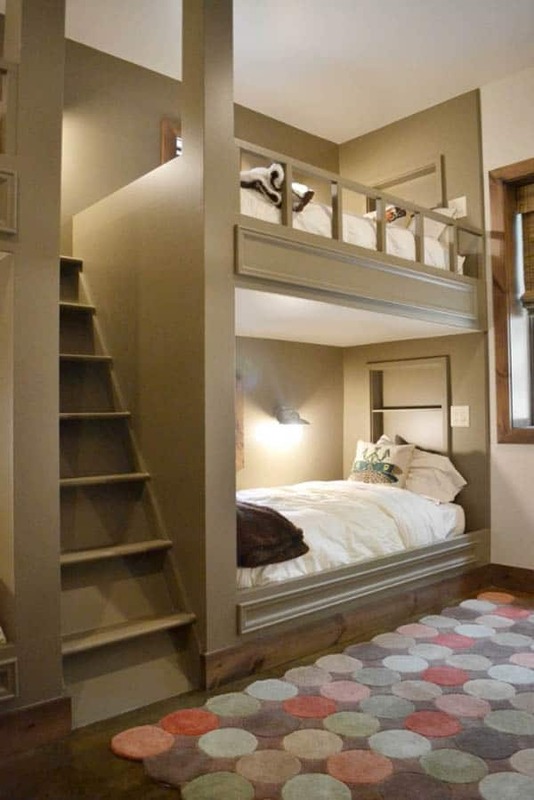 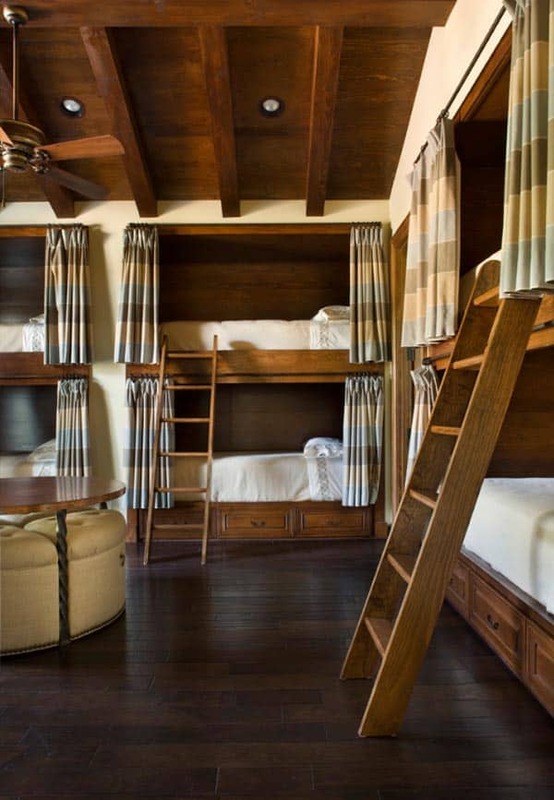 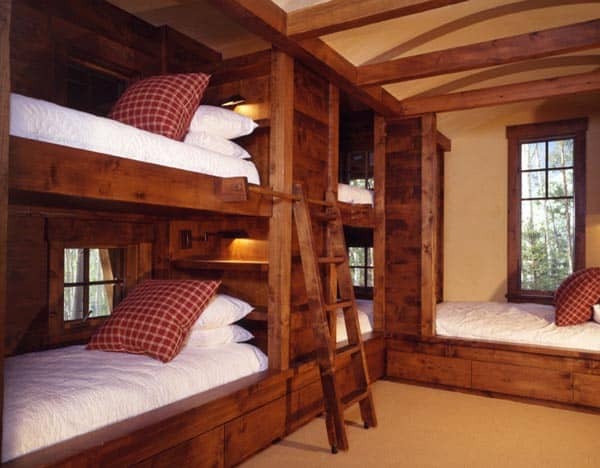 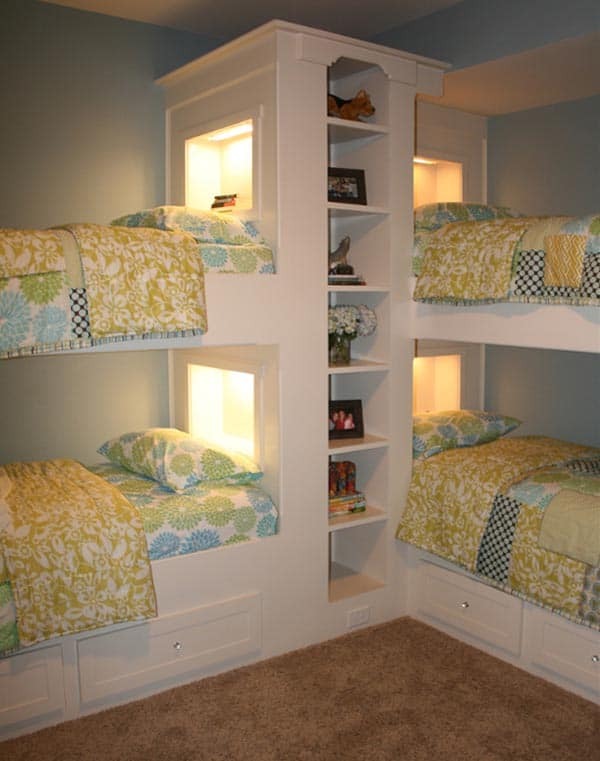 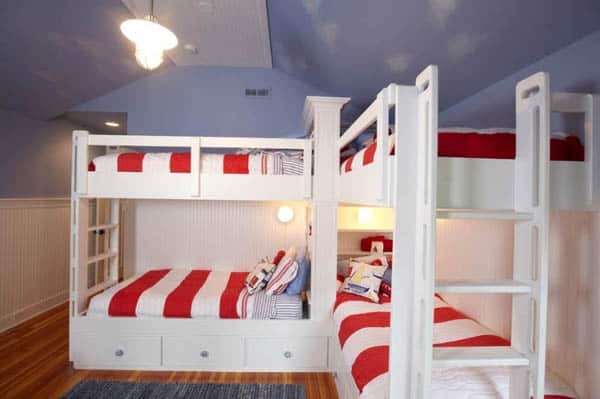 Bunk beds are always a perfect option when fighting with space constraints, but for a more sophisticated look, a sleeping alcove is always a perfect option. 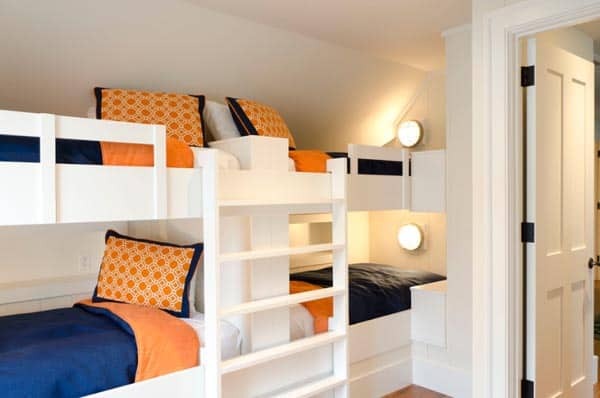 Even though they are in the same space, these room-savers receive a great sense of privacy when in their individual nooks. 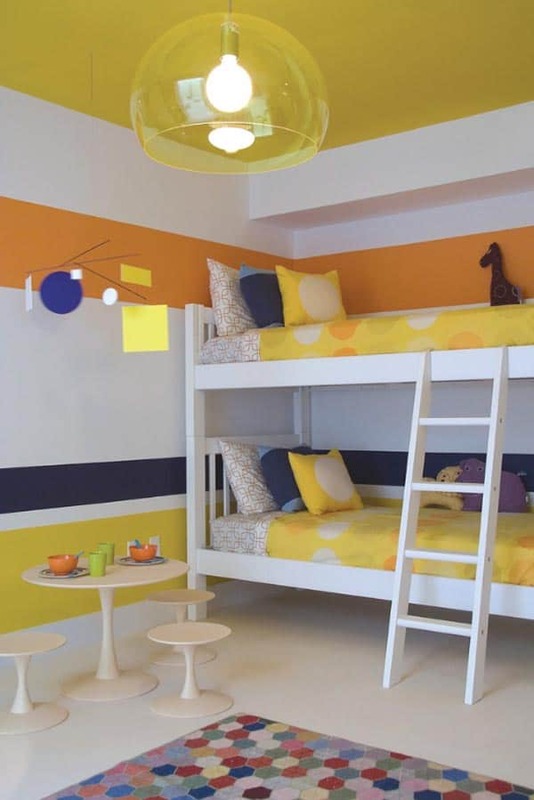 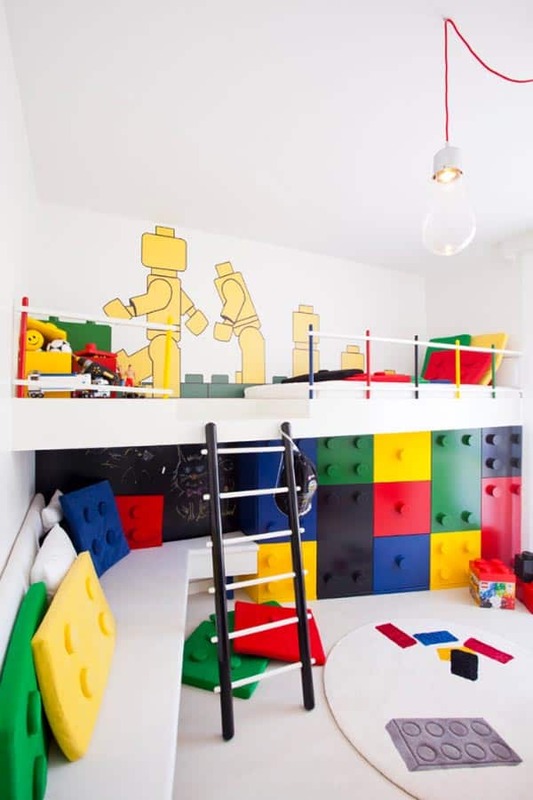 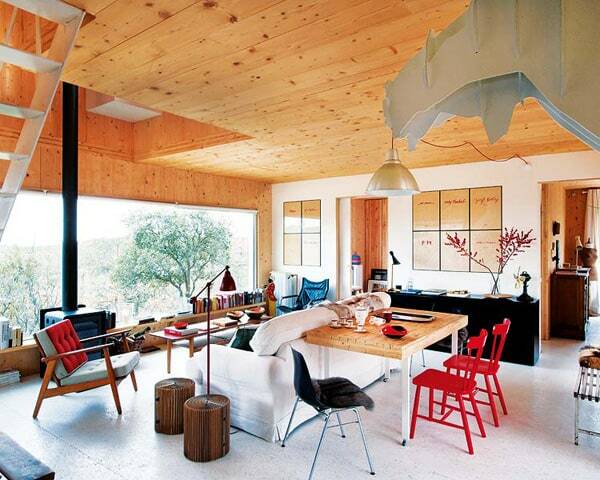 Don’t be afraid to have some fun with your room design by adding a theme to the space. 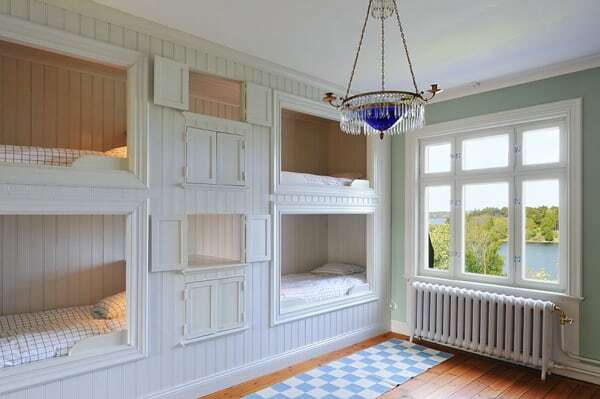 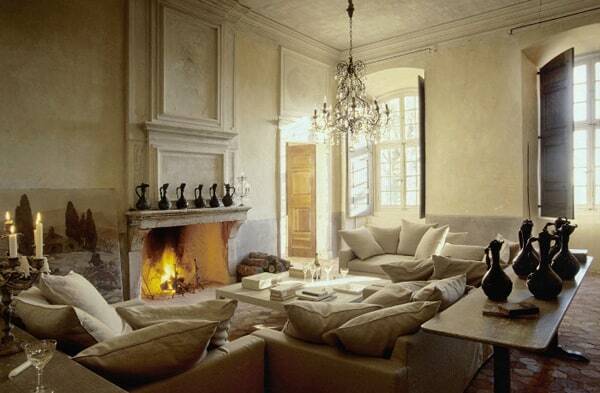 We have included a few examples below that will help to inspire you to create your own themed space. 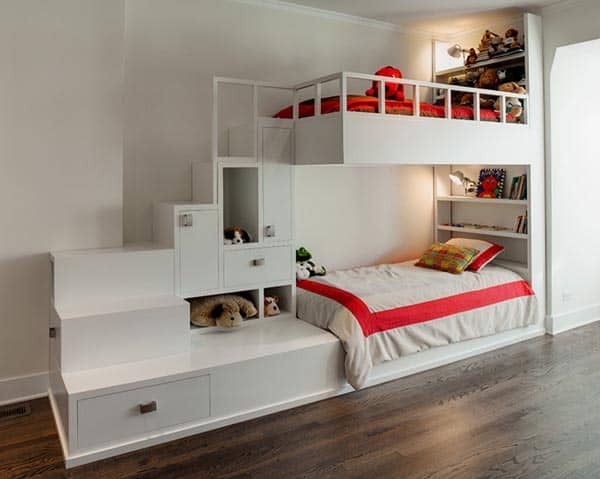 There are also some other inspiring ideas such as building storage underneath, above, in the stairs and even in-between sleeping nooks. 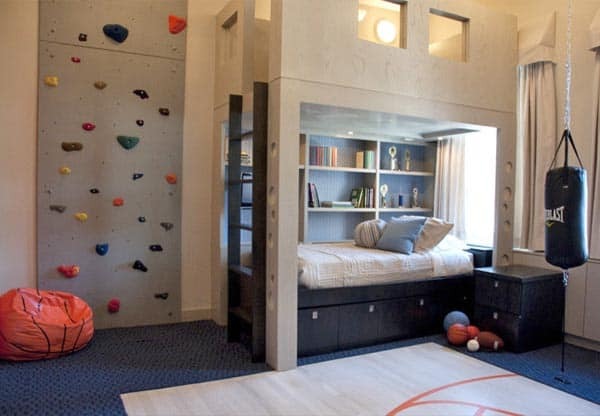 So take a look at our 40 inspiring ideas of some super unique sleeping nooks and don’t forget to let us know which one is your favorite!